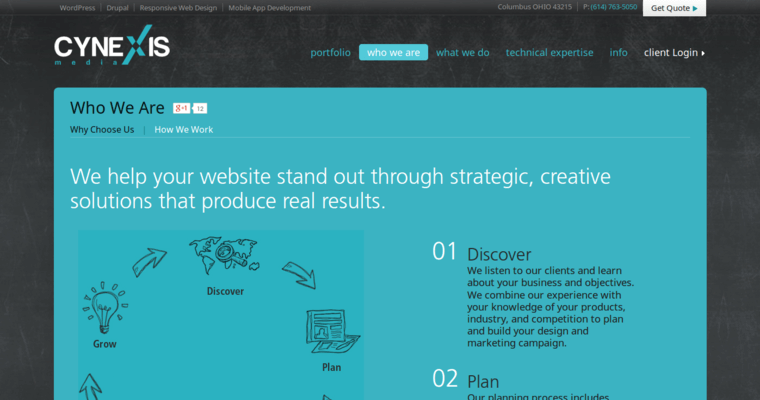 Cynexis is an award-winning interactive agency that specializes in custom application design and creating responsive websites for an eclectic list of clients. 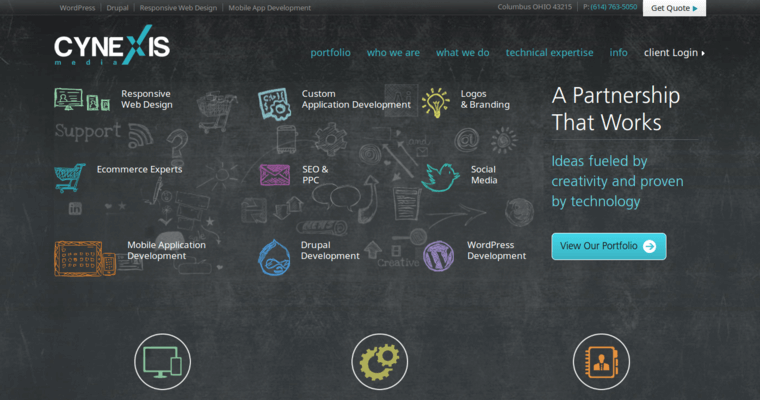 In terms of front-end web design, Cynexis' designers work to make each website an intuitive webgoing experience across devices. Cynexis also takes advantage of evolving UX technologies to meet customers where they're going tomorrow as well as where they're at today. 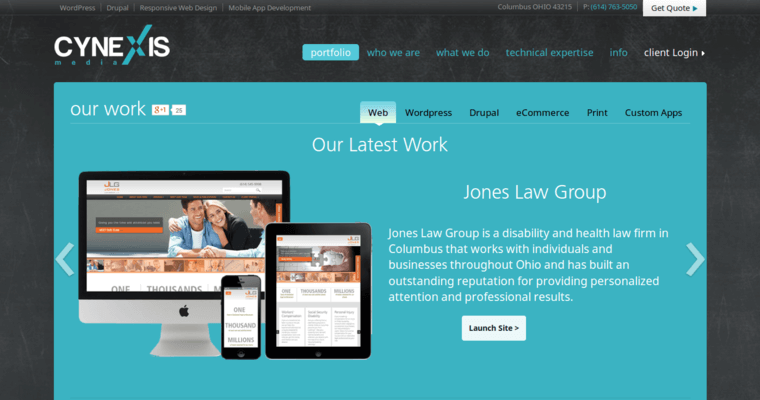 Cynexis has also created over 20 Drupal-designed websites over the last two years. Drupal is highly compatible with search engine optimization processes, scalable and highly secure. Since Drupal has over 7,000 modules, you'll never be left without. As far as getting your name out to the public, Cynexis leverages internet marketing and social media optimization to reach a new-age of mobile customers. For clients who are still looking for their brand Cynexis also provides clients with logo design services as well.